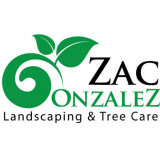 Transforming gardens into lush designed landscapes, building-trusting relationships and working hard is what Zac Gonzalez Landscaping is all about. Zac was raised by a father that had a landscape company and an entrepreneur mother. He studied environmental horticulture at Santa Barbara City College and became a licensed contractor. Just like the plants around us it was only natural for Zac to branch out and start his own company. Maintaining gardens in Santa Barbara since 1987. We are a small team of knowledgable professionals who value the privacy of our clients. Map Tree & Landscape Service sense of design, both architectural and horticultural are wonderfully illustrated by our previously done landscaping projects. Operating as both landscaping company and lawn services company. Map Tree & Landscape Service are an exceptionally skilled team dedicated to providing a high quality tree service using the best materials at affordable prices. We aim to build bespoke, versatile and long lasting landscapes that are constructed within a variety of budgets. 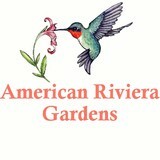 Specializing in waterscapes and gardens, contact us today and we would be happy to speak with you! 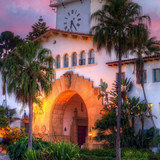 Casa Landscape Maintenance has been in business for over 30 years serving the Santa Barbara area. We use state-of-the-art equipment and products along with honest hard work to make your landscaping and gardening dreams a reality. Call us for an estimate and let us share our expertise and passion with you. J W'S Weed Whacking is an established Architectural & Engineering Services business offering complete solutions to clients throughout the local and surrounding areas California. The company, which is located in Santa Ynez(California), and the John, Wilson has many years' of experience in the Architectural & Engineering Services trade. Established in 1996, J W'S Weed Whacking has many years of experience in Architectural & Engineering Services. Helping serve all of your tree service needs. Preferred Turf is your premier choice for artificial and synthetic grass installation. For over 10 years we have treated our clients home and lawn as if it were our own. We are a family owned and operated business. We have passed those ethics and standards down to each of one our employees. From our sales executives to our trained installation technicians, every member of the Preferred Turf family is educated and well versed with all of our products. If you are contemplating shifting from traditional sod to a state of the art synthetic lawn, please give us a call today. We offer free consultations. Even if you are considering using another supplier or installation company, feel free to reach out to us. The more opinions you have from quality, certified providers of Turf Grass, the more prepared you will be when making your final decision. With over 35 combined years experience in the green industry, father and son team Tom and Josh Lanier provide top-notch professional irrigation solutions and landscape design and installation for satisfied clients on the Central Coast form Santa Ynez to Atascadero. 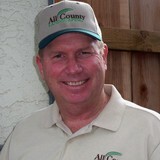 Professional landscape, maintenance, and concrete in the Oxnard area. In addition to the maintenance side of gardening, Mission Canyon, CA gardeners can help you with garden design and choosing specific plants and grass types for your climate and area. Find a Mission Canyon, CA gardener on Houzz. 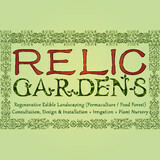 Narrow your search in the Professionals section of the website to Mission Canyon, CA gardeners. You can also look through Mission Canyon, CA photos to find examples of yards that you like, then contact the California contractor who worked on them.